When crafted well, most users are likely to fall victim to a highly targeted phishing attack. Many of your users think they are safe as long as they don't click on something in an email, but through the use of a social engineering tactic called “pretexting”, the bad guys establish trust with your key users by pretending to be someone they know in order to carry out a damaging attack. These types of attacks usually do not have links or attachments and simply trick your users into replying to the email and performing actions that lead to monetary or data loss for your organization. KnowBe4’s new Phishing Reply Test (PRT) is a complimentary IT security tool that makes it easy for you to check to see if key users in your organization will reply to a highly targeted phishing attack. 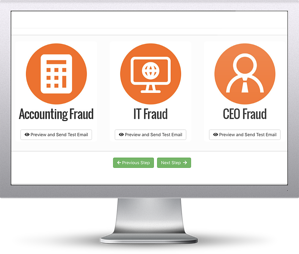 PRT will give you quick insights into how many users will take the bait so you can take action to train your users and better protect your organization from these fraudulent attacks! Identify how many users take the bait and reply before the bad guys do!